Some of the other Thrones take the shape of tree trunks. This is derived from the fact that the forest is a social space, where trunks traditionally serve as 'furniture'. 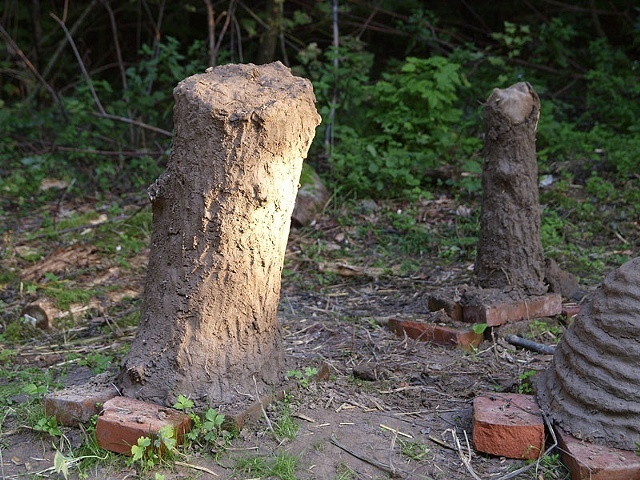 My trunks are a humorous gesture, meant to acknowledge the idea that placing art in a forest is a little preposterous.